Showing 34 results for "*"
The rich history and lore of cameos make them a fascinating avenue into the world of collecting for history, mythology and jewelry buffs. 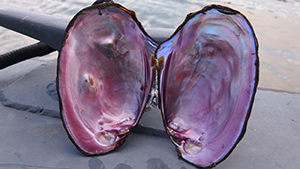 Natural pearl identification is one of the critical problems in pearl research. The DNA study of pearly mollusks and oysters facilitates solving this problem. To fulfill this goal, GIA sent a group from both research and education to Tennessee to sample the freshwater mollusks for DNA bar coding. Come with us to Camden, Tennessee, to see how we dive for pearly shells. 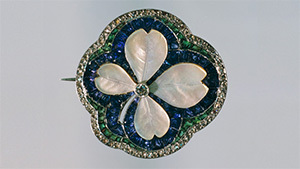 John Latendresse is known as the father of American cultured pearls. He was also a great natural pearl collector and left his family a remarkable natural pearl collection. The Latendresse family is well recognized in the American pearl industry and has long supported GIA pearl research. 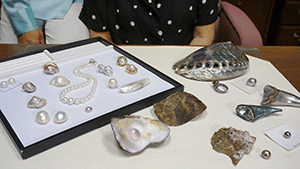 Come with us to revisit this family and their pearl collection. A GIA team from Education and Lab Services visited the upper Missouri River sapphire deposits in Montana. 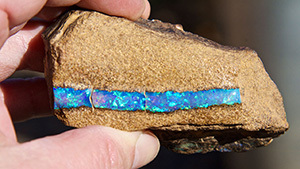 The first sapphire discovery in the Treasure State, these deposits have been mined for over 150 years. The team witnessed the mining at the richest source, Eldorado Bar, and purchased a mine run to enrich GIA’s corundum collection. Along with the skyrocketing price of white nephrite, there is also a developing market for green nephrite in China. However, limited local supply has forced the Chinese to seek outside resources, opening the door to imports of green nephrite mined in British Columbia, Canada, and Siberia, Russia. 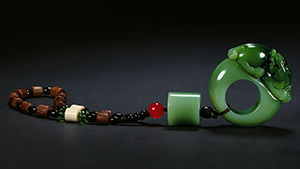 This has created the well-developed and well-maintained nephrite jade road that connects the three countries, and which is described in this article. This article describes what is known about the Wittelsbach Blue since it was first reported in 1666, and the gemological information released to date on this diamond. 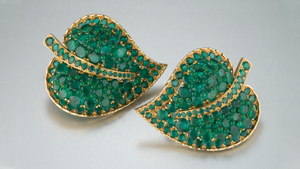 The humble leaf has captivated jewelry designers for centuries and they’ve transformed it enduring pieces of beautiful jewelry. 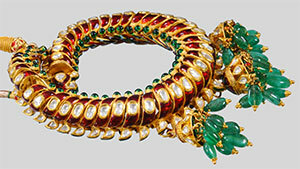 Gems and jewelry are often used as good luck charms because they can evoke power and positivity. Check out these lucky charms used around the world.